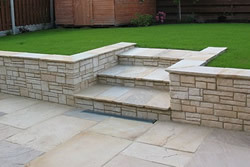 I & C Watts are stonework contractors serving Harrogate and the surrounding area. Our vast experience ensures our specialist team are able to undertake the most complex and difficult stonework projects with great confidence. Our work includes stonework restoration projects, repointing, garden walls and flagging as well as retaining walls of large dry stone. All of our stonework restoration and repair techniques are sympathetic to traditional methods. 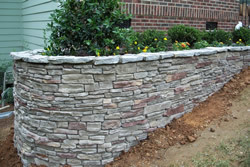 Stonework can also be used to landscape gardens and communal areas as well as driveways and patio areas.